Guests tonight on Hughesy, We Have a Problem Meshel Laurie, Claire Hooper, Luke McGregor, Ryan ‘Fitzy’ Fitzgerald & Jacqui Lambie. The best of the best are back to tackle the biggest problems facing the humble Australian. 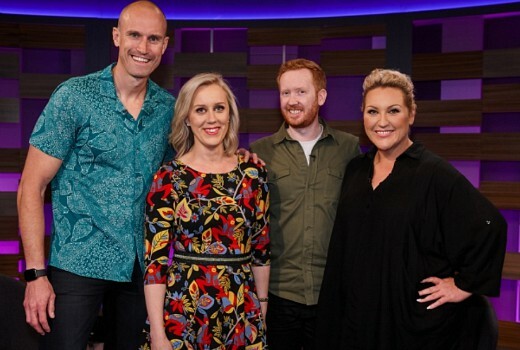 This week Hughesy welcomes Meshel Laurie, Claire Hooper, Luke McGregor and Ryan ‘Fitzy’ Fitzgerald to the panel to get to the bottom of some pretty serious issues. Audience member Nick needs help stepping out of his girlfriend’s shadow on Instagram, Hughesy has had enough of technology driving him crazy and is ready to go off the grid, and Fitzy is conflicted over his son Lenny’s unusual haircut. And just when you think we can’t squeeze any more in, the bold, loud, and outspoken politician Jacqui Lambie stops by wanting the team to give her an answer on why there is a man drought in Australia.